Filmmaker Eugene Jarecki takes a road trip across America in Elvis Presley's 1963 Rolls Royce, 40 years after the superstar's death. He explores how a country boy lost his authenticity and became a king, while his country lost her democracy and became an empire. Drawing on the theme that the American dream is a fantasy for some and a nightmare for others, it takes a hard look at America and where it's headed. 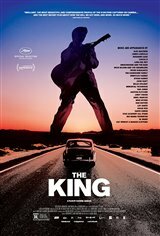 Alec Baldwin talks about the sad state of the U.S. today, while the film suggests that America is bloated, addicted, self-destructive and going through the motions, coasting on their legend, much like Elvis did.